WHAT IS MODULAR CONSTRUCTION ? 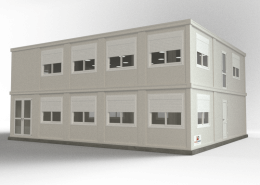 Modular construction is a building technique in which construction is realized in the factory, in a controlled environment and with safer conditions than for traditional construction because it does not suffer from bad weather. It is delivered in its final (or temporary) destination where it will be assembled. Europa Prefabri designs, manufactures, delivers and assembles high-quality prefabricated modules and buildings that are customizable. 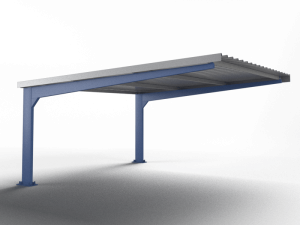 This enables a high flexibility concerning the assembling of new modules, reducing delivery times, with a considerable reduction in costs compared to traditional construction. 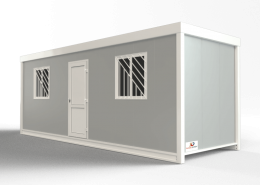 If you want to know more about this you can see: advantages of modular construction. 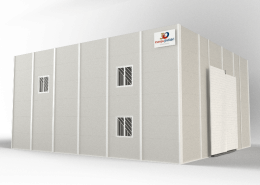 Prefabricated modules: These can be temporary or permanente constructions that can have many applications. 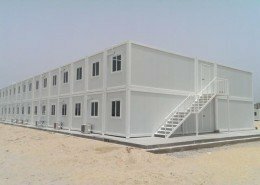 Prefabricated buildings: We manufacture them with a steel structure that is custom-designed according to the client’s needs in each project in order to build solid prefabricated buildings that can have until 3 plants in a short period of time and with reducing costs. 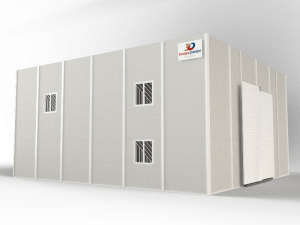 Prefabricated warehouses: We made the calculation for the steel structure in order to ensure the resistance to overloads of wind and snow according to the location. We can adapt to the standards required by our client. 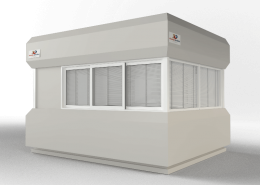 All of our modular buildings can be adapted to your needs and are attachable horizontally as well as vertically. Prefabricated housing: We realize the study of the Project with the architects of the client in order to be able to adapt any Project to our constructive system. Once the technical features, plans and materials chosen, we can start the manufacturing of all the elements and the transport to destination for assembling. All of our modules can be transported individually already assembled. They are raised with a crane with the reinforcement located in the corner of the roof structure of the module. 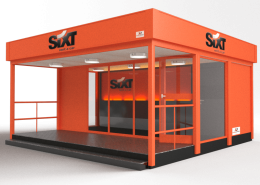 In this way, our system enables a rapid and easy transport to another location, for an independent module as well as for a modular building made of various modules. On the other hand, we propose two Systems for transportation of dismantled modules in order to reduce costs of transport especially for exportation projects by delivering many modules in only one truck or in sea container. 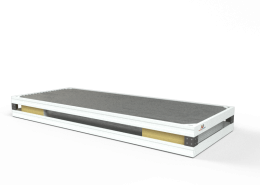 KIT (Flat Pack) system: The modules are sent in packs made of the cover structure and the floor structure united with all the materials inside. 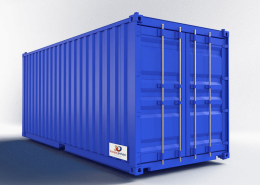 This system enables an optimization of the transport by trucks or sea containers and, at the same time, enables a really simple and rapid assembly process. 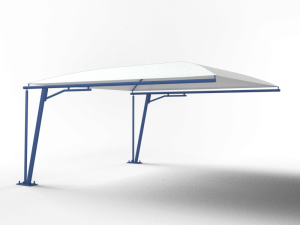 Mecano (Dismantled): This system enables a better optimization of transport by sending the module completely dismantled, because its necessary to assemble the roof and floor structures. 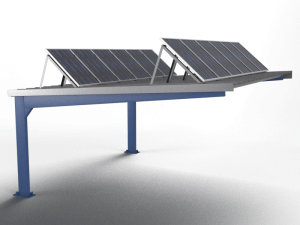 For modules with a width of more than 2,40m, its the only means of transport possible. Our modules are especially designed to make the assembly easier, even for people without any knowledge. The proper client can assemble the modules really easily thanks to the instructions and videos that we provide for each project. Moreover, if necessary, we can send workers in order to manage the assembly process and the formation of the local people in any country.